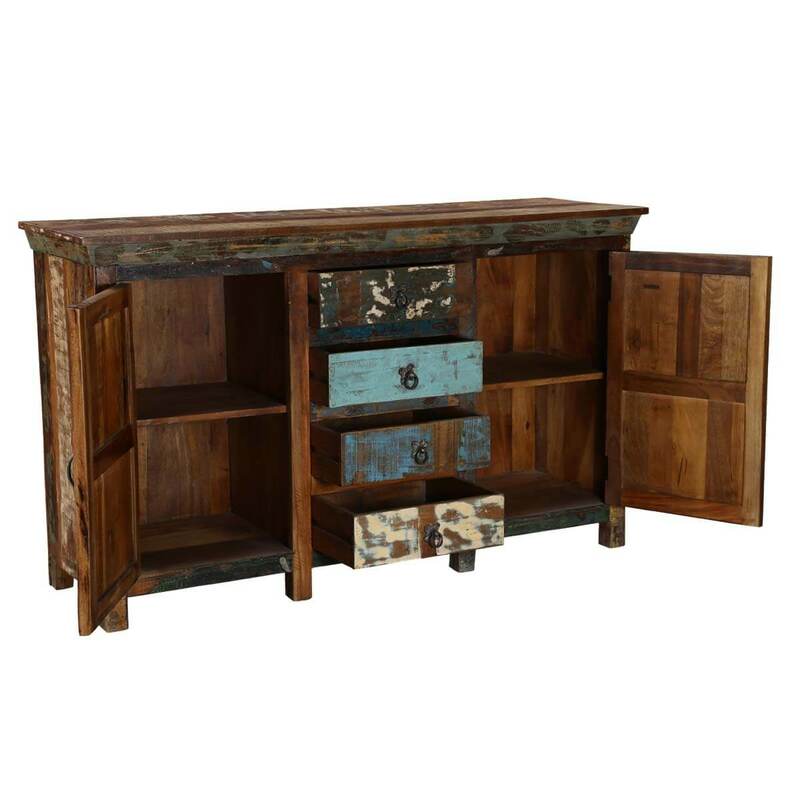 Offering an old rustic look, the handcrafted buffet cabinet will accentuate your dining space with its unique looks while providing you with storage to store dining essentials. 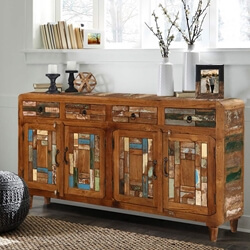 The large buffet server is 100% handcrafted from reclaimed solid wood pieces of different hues, giving it grace and looks that will captivate everyone’s attention. 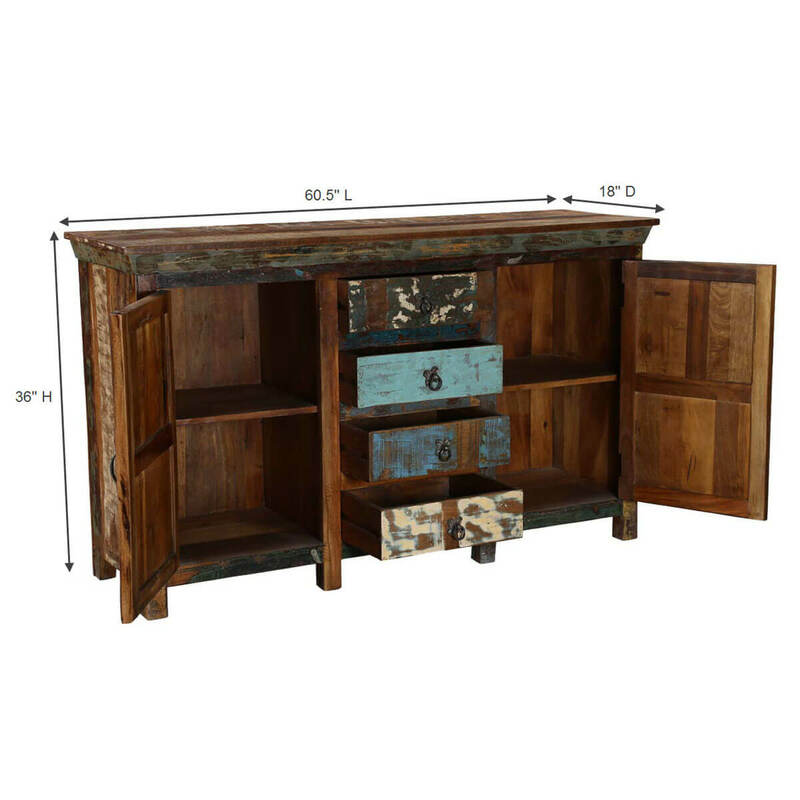 It comes with two doors with two shelves each to store glassware and larger accessories. 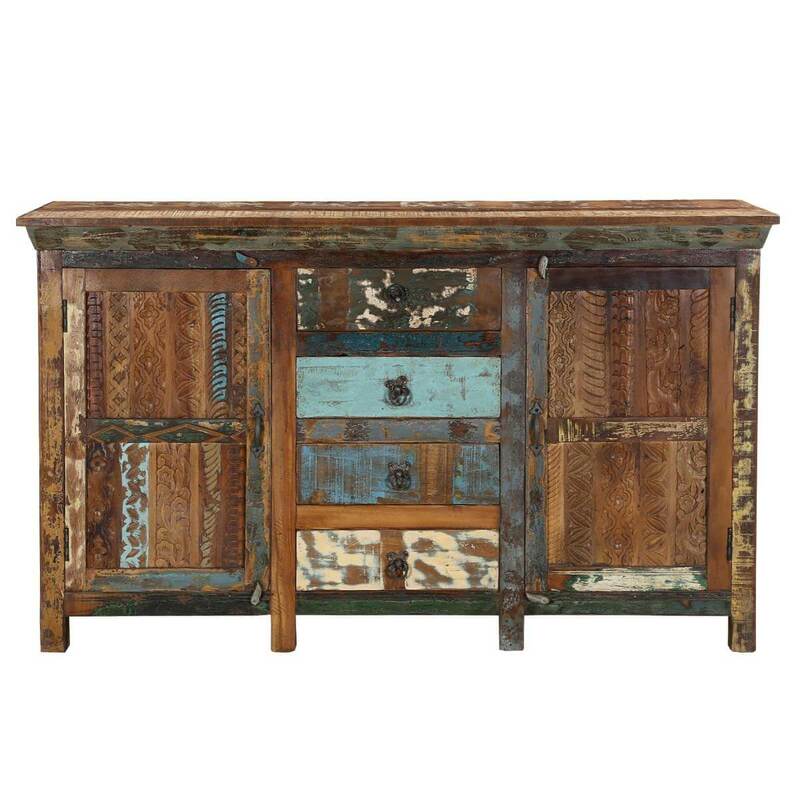 The cabinet doors of this solid wood sideboard are embellished with stripes of intricate carving patterns. The four drawers in the middle offer space to store table linens, serve ware, and smaller accessories. 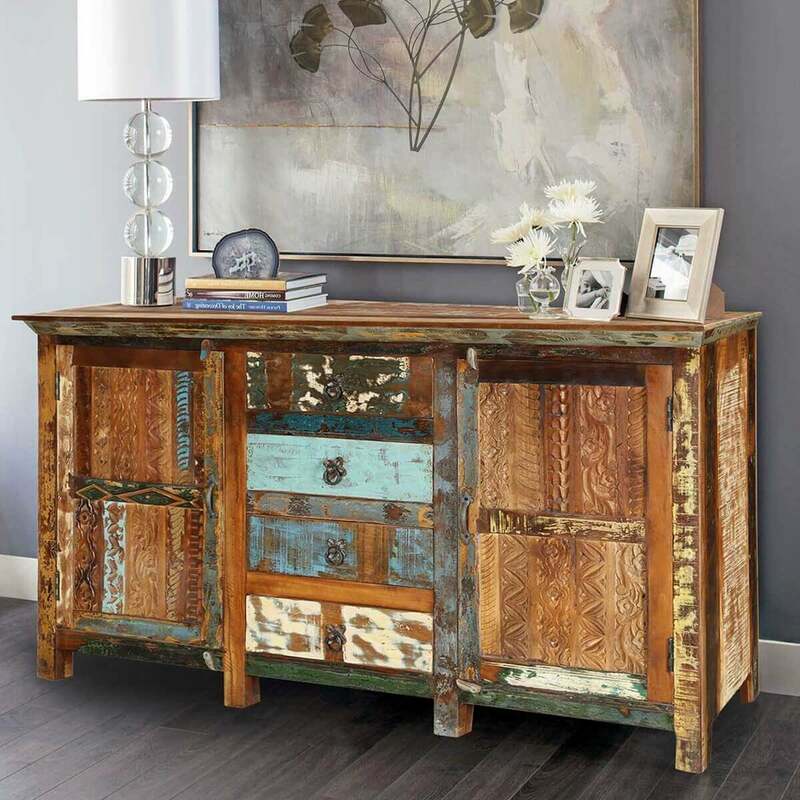 The drawers come with ornate hand-forged metal ring pulls, adding to the traditional look of this rustic reclaimed wood sideboard. Two middle legs in the front ensure more strength. 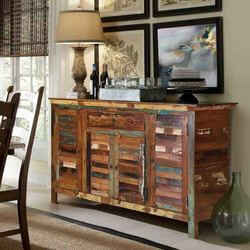 Place it in your dining space for easy access to the dining accessories while enhancing the room decor. 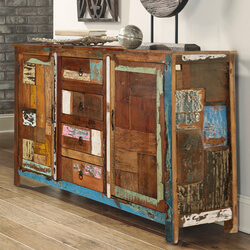 The reclaimed wood body makes it a solid piece of furniture. The wood is environment-friendly and is more visually appealing because each piece comes in different tones of colors due to different source origins. 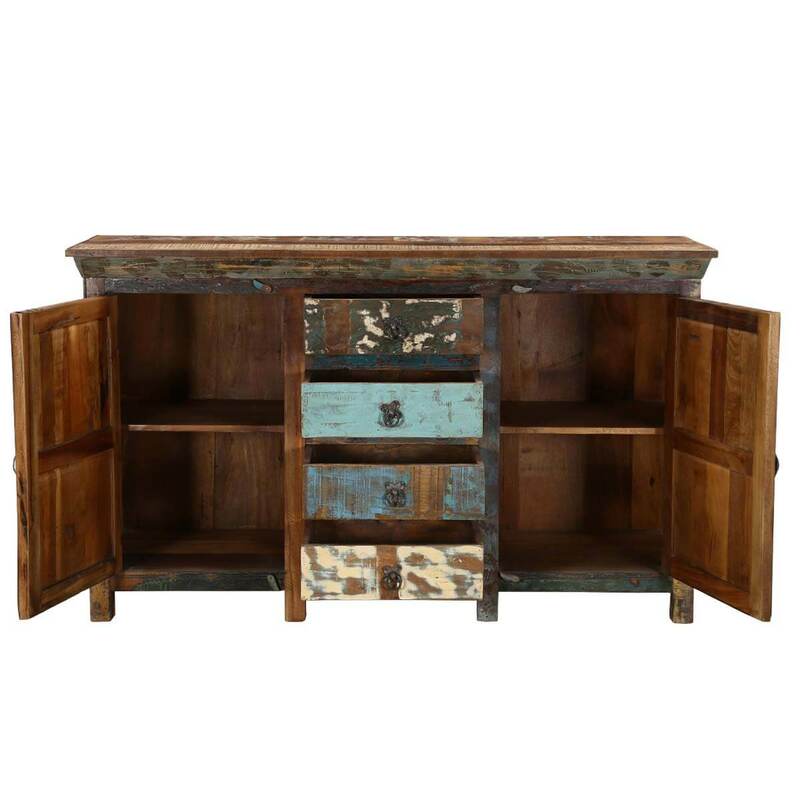 Due to the lesser moisture content in aged reclaimed wood, it is sturdier and more robust than new wood. Note: Custom Options such as Size, Shape, Shade & Design are not applicable to this item. 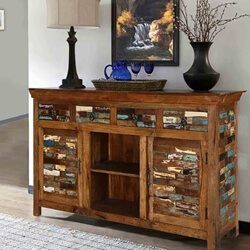 Reclaimed Wood Furniture is subjected to have Slight Variations. 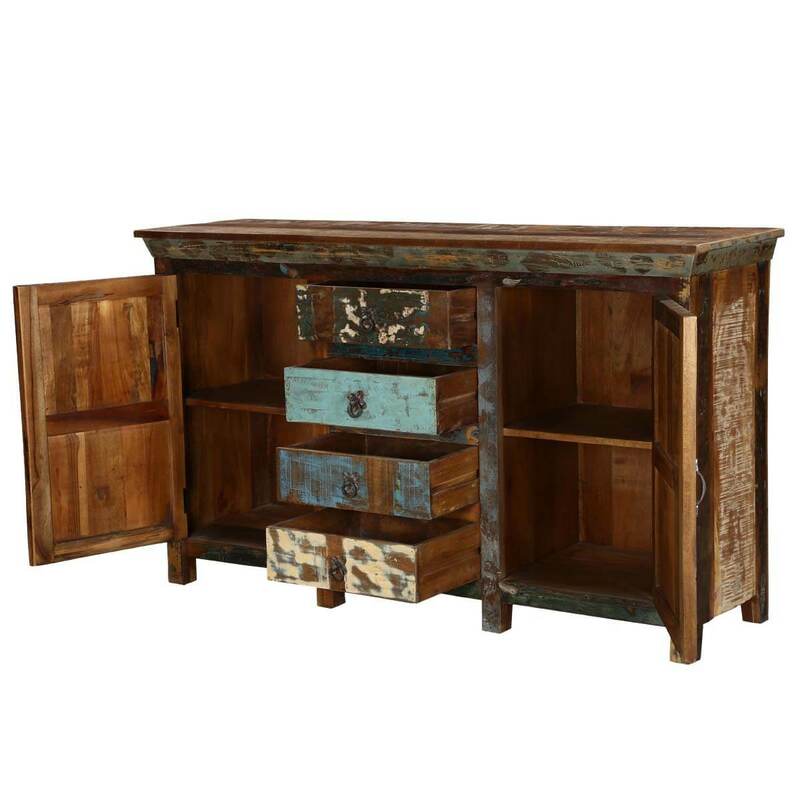 Real wood is a product of nature, and as such, no two pieces are alike. Variations in solid wood grain patterns are to be expected and make each furniture uniquely beautiful, just like us humans.